The Tour de France is far away from me but the intense heat, cool trails through the woods and open farm land dotted with red barns makes up for it. The heat signals one thing and that's crashing biking... sometimes I even fish out my old school yellow WindSkin jersey (a gift from Dad!). 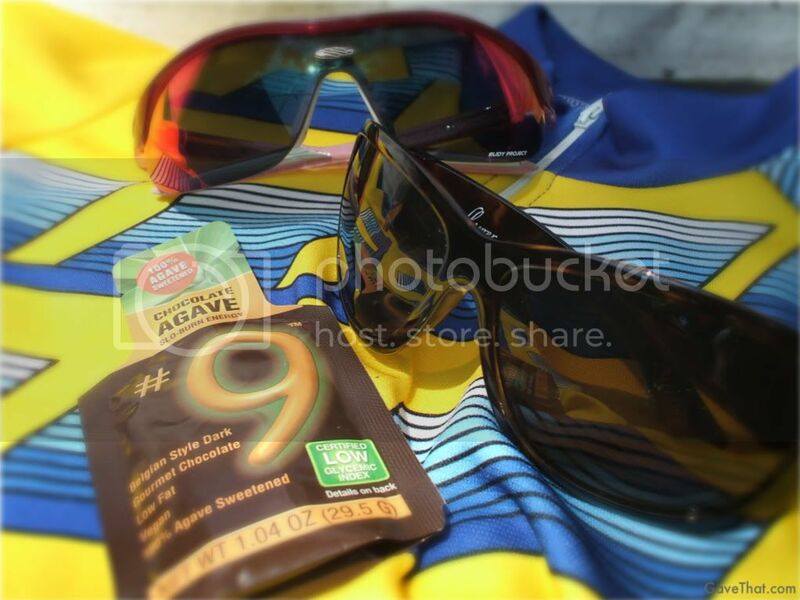 Above are some new sunglasses from Rudy Project and a little energy drink that actually tastes decent. The Chocolate #9 with Agave. Now I feel ready for all those bike for causes events coming up and have a secret stash for any cyclist riding through my gift list. Have a fantastic weekend everyone!